With the potential to reduce network security cost by nearly 50 percent, it’s no wonder unified threat management (UTM) has climbed up the Gartner hype cycle at a feverish pace. But many companies have held out for fear that a UTM solution’s standard features would slow network performance to a crawl in order to protect the volume of data they produce. The reality is that small and mid-sized enterprises don’t need to sacrifice performance to protect their networks. In fact, Miercom, a leading independent testing lab, took a deep dive into several industry leaders in UTM and found that WatchGuard’s UTM solution outperformed all other competitors, offering nearly 3.5 times the speed and performance while all UTM features were enabled, allowing customers to benefit from the highest level of security with a high level of performance (figure 1). Figure 1 – Miercom’s test results show that WatchGuard provides the highest level of security with the best performance when compared to other leading UTM solutions. Miercom evaluated the performance of similar-priced UTM solutions from WatchGuard, Fortinet, SonicWall and Sophos. The performance of each was evaluated when all standard UTM features were flipped on including not only basic firewall packet filtering, but also deep packet inspection and/or proxies, intrusion prevention and anti-virus – which is critical in catching modern malware’s multi-vectored threats. These multi vectored or blended threats require a solution that provides multiple layers of security, offering more opportunities to catch suspicious activity, but also delivering superior performance. And for small and mid-sized enterprises, a balance of performance and the ability to quickly scale is vital. With WatchGuard, our customers they can benefit from the security cost savings of UTM, and know that the performance they need is there to support their performance service level agreements. To read more about the results, you can view the full Miercom report here and let us know if you are interested in a WatchGuard demo. 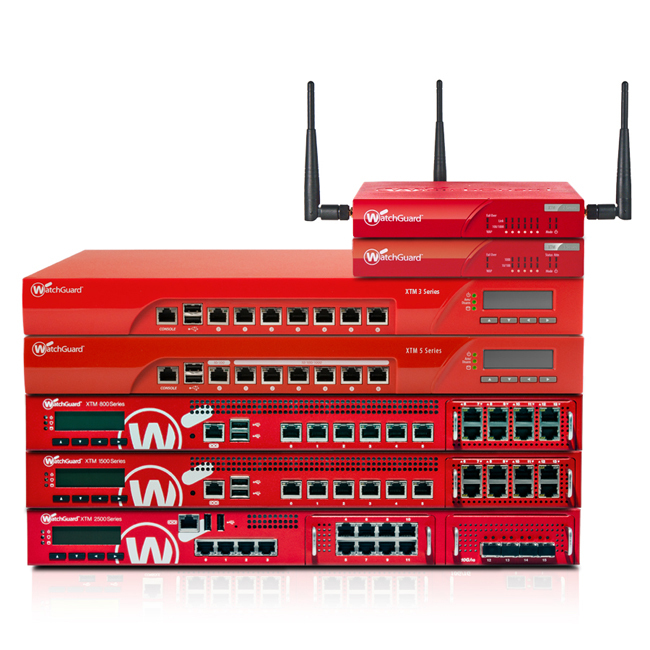 I love the performance these WatchGuard XTM appliances offer but love more the fact that WatchGuard makes these with low running costs through reduced energy usage. With power prices skyrocketing protection with high performance need not come at the cost of high power usage.